Nicole S. Lovenduski et al. Phytoplankton biomass changed significantly in the North Atlantic north of 40° N over 1998–2007. With a physical-ecosystem model, we show that biomass increases in the northwest are due to reduced vertical mixing that partially relieves light limitation of phytoplankton. To the east, these circulation changes lead to fewer nutrients being supplied horizontally from the west. 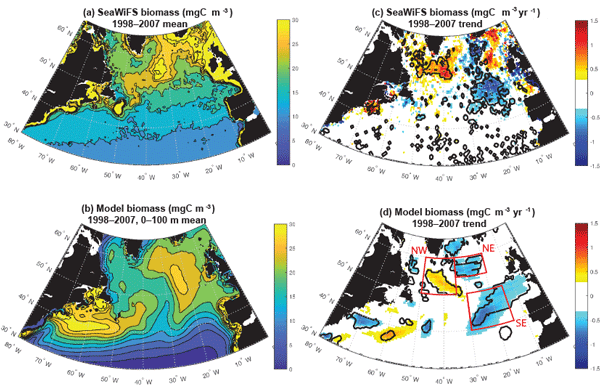 Relationships between these biomass variations and atmosphere and ocean physics are not straightforward. The Southern Ocean is highly under-sampled and since this region dominates the ocean sink for CO2, understanding change is critical. 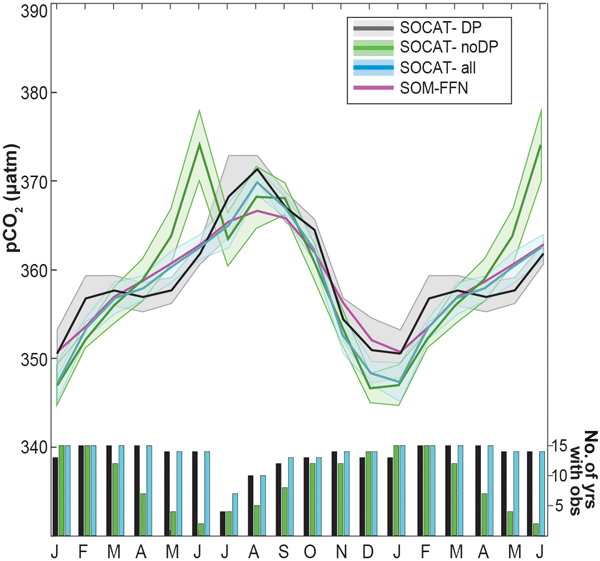 Here we utilize available observations to evaluate how the seasonal cycle, variability, and trends in surface ocean carbon in the well-sampled Drake Passage region compare to that of the broader subpolar Southern Ocean. Results indicate that the Drake Passage is representative of the broader region; however, additional winter observations would improve comparisons. A high-resolution global model was used to study the influence of El Niño/La Niña events on the California Current System (CalCS). The mean surface oxygen (O2) response extends well offshore, where the pH response occurs within ~ 100 km of the coast. The surface O2 (pH) is primarily driven by temperature (upwelling) changes. Below 100 m, anomalously low O2 and low pH occurred during La Niña events near the coast, potentially stressing the ecosystem, but there are large variations between events. 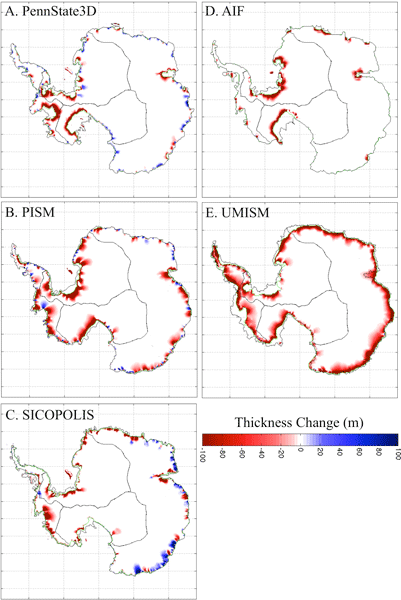 The Antarctic Polar Front (PF) is an important physical and biogeochemical divide in the Southern Ocean, delineating distinct zones of temperature, nutrients and biological communities. 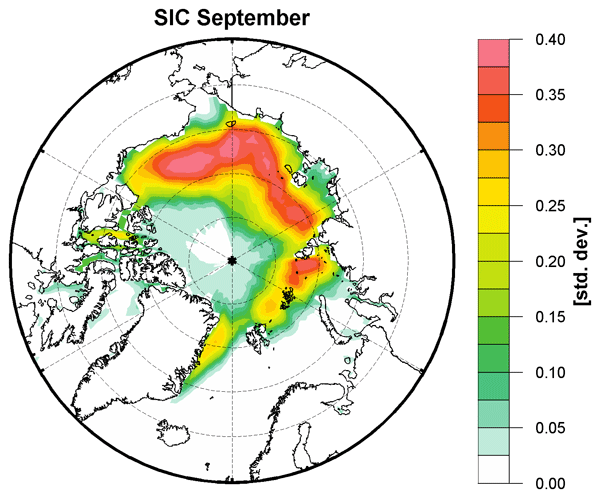 Our study learns from and advances previous efforts to locate the PF via satellite by avoiding cloud contamination and providing circumpolar realizations at high spatio-temporal resolution. These realizations are consistent with concurrent in situ PF locations and previously published climatological PF positions. We investigate variability in surface ocean carbonate chemistry using output from a 1000-year control simulation of an Earth System Model. 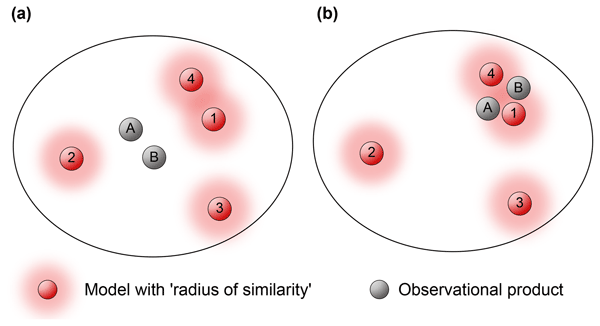 We find that the detection timescale for trends is strongly influenced by the variability. 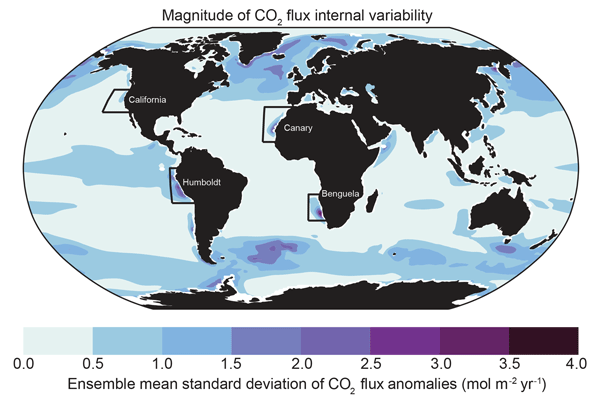 As the scientific community seeks to detect the anthropogenic influence on ocean carbonate chemistry, these results will aid the interpretation of trends calculated from spatially and temporally sparse observations. Halogenated organic trace gases, which are a source of reactive halogens to the atmosphere, exert a disproportionately large influence on atmospheric chemistry and climate. 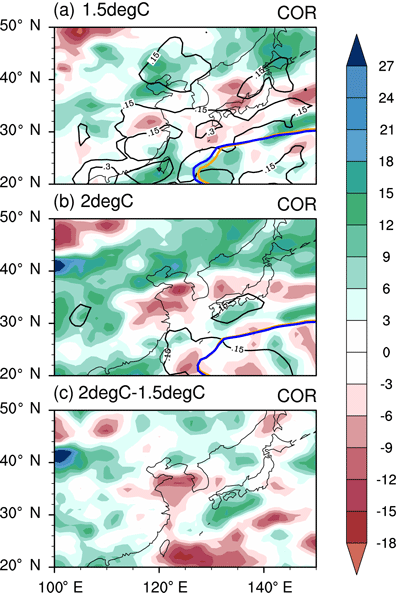 This paper reports novel aircraft observations of halogenated compounds over the Southern Ocean in summer, and compares them to a global climate model simulation. In addition, we evaluate hypothesized regional sources and estimate emissions of these trace gases through their relationships to additional aircraft observations. We analyzed the evolution of the atmospheric CO2 mean annual cycle simulated during 1950–2300 under three scenarios designed to separate the effects of climate change, CO2 fertilization, and land use change. CO2 fertilization in boreal and temperate ecosystems drove mean annual cycle amplification over the NH midlatitudes during 1950–2300. Boreal and Arctic climate change drove high-latitude amplification before 2200, after which CO2 fertilization contributed nearly equally to amplification. 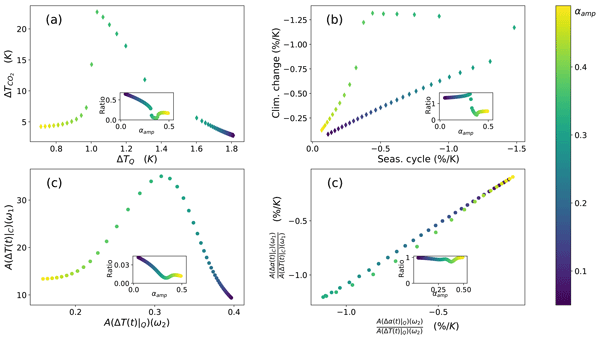 This paper explores how the large diversity in spin-up protocols used for ocean biogeochemistry in CMIP5 models contributed to inter-model differences in modeled fields. We show that a link between spin-up duration and skill-score metrics emerges from both individual IPSL-CM5A-LR's results and an ensemble of CMIP5 models. Our study suggests that differences in spin-up protocols constitute a source of inter-model uncertainty which would require more attention in future intercomparison exercises.